One of the best things about protein shakes – aside from muscle-building and speeding up muscle recovery – is you do not have to use a blender anymore. Using the right shaker bottle is enough to achieve that irresistible consistency you cannot stop gulping until your stomach gets full. However, what makes the best protein shaker bottle? Stay with us as we give you the best protein shaker bottle in today’s market based on careful research and product testing. Blender Bottle Classic Loop Top Shaker Bottle has a unique mixing system. It uses the brand’s special “BlenderBall” that is composed of 316 surgical-grade stainless steel. Aside from protein shakes, it is perfect for making pancake batter and smoothies. It is dishwasher-safe for easier cleaning. Its material does not contain phthalate and BPA. 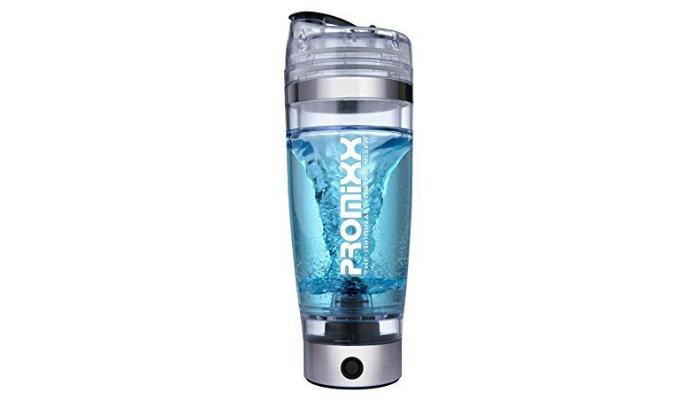 Promixx 2.0 Vortex X-blade Technology Integrated Protein Shaker Bottle is mind-blowing since it is one of the most innovative shakers out there. It is very powerful with its more than 16,000RPM feature. It can easily blend ingredients that are too hard to mix together. 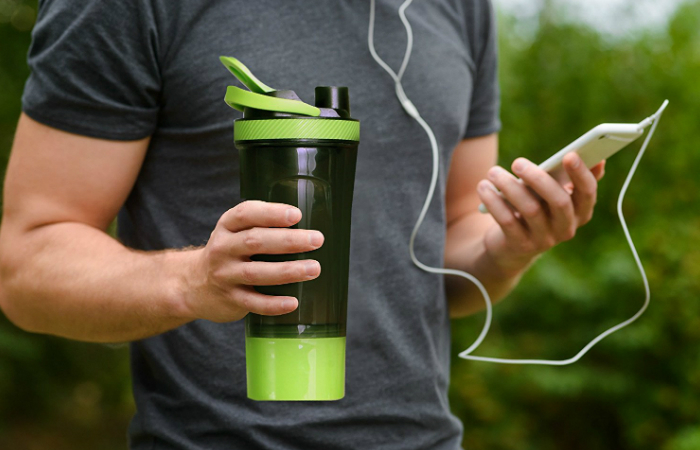 This automatic protein shaker bottle is rechargeable through a USB port. It is commonly used by elite athletes all over the world. It looks luxurious with its brushed aluminum finish that is also extremely durable. This product has a special blunt blade to preserve micronutrients. It can resist odor and impact. Lastly, it does not leak. 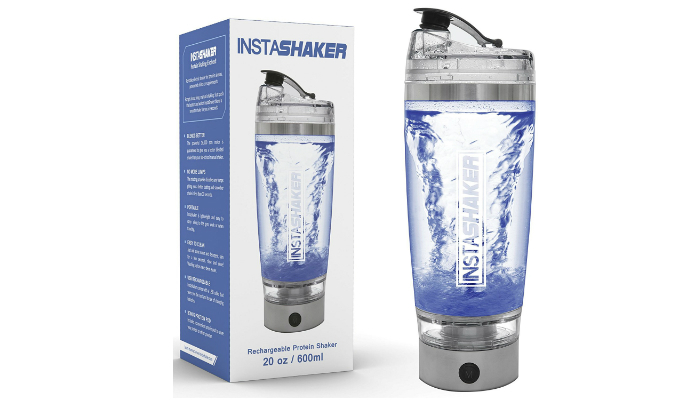 InstaShaker USB Rechargeable Electric Blender Vortex Mixer Protein Shaker Bottle is like a personal blender. However, the big difference is convenience. This protein shaker bottle is more convenient than a personal blender because you can drink directly from its compact, lightweight container. With most personal blenders, you still have to transfer the drink to a portable container such as a water bottle or a travel mug if you have to go out pronto. Additionally, this product can provide you smooth protein shake in just 30 seconds. It does not make annoying sounds while mixing. It can also be a great gift for your loved ones who are fitness buffs. 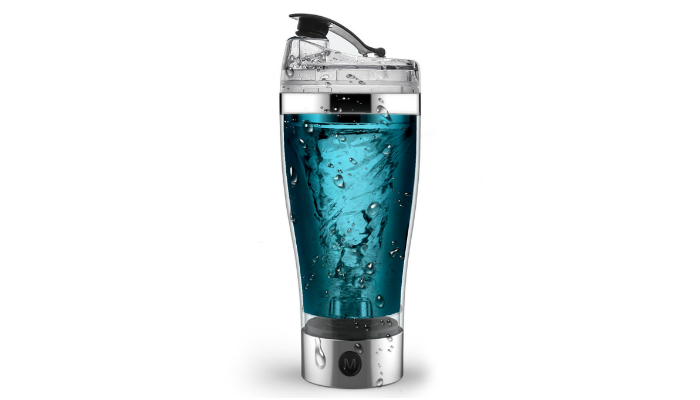 Danny House 16 Ounce USB Rechargeable Portable Vortex Mixer Protein Shaker Bottle has a waterproof switch, unlike most automatic protein shakers. Just one button is enough to operate it anytime. 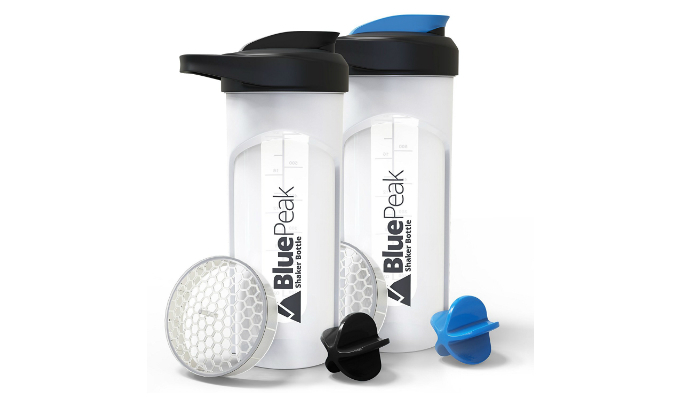 BluePeak 28-Ounce 2-Pack Dual Mixing Technology BPA Free Protein Shaker Bottles have both mixing grids and shaker balls so you can have two options on how to make your drink. They have secure loop tops for better portability. They can fit most cup holders. 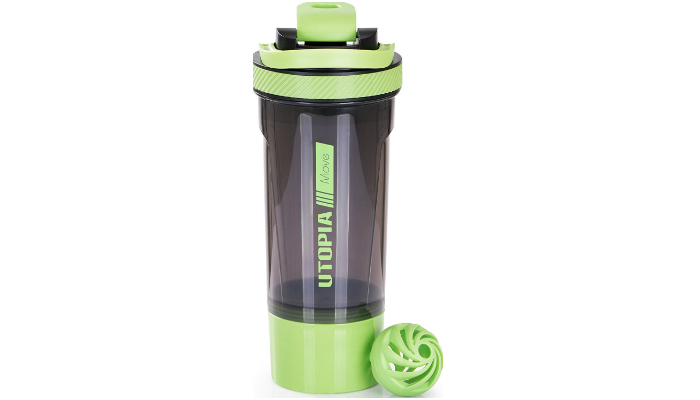 Utopia Home 24-Ounce Classic Flip Cap and Tapered Spout Protein Shaker Bottle is adorable with its stylish twist-and-lock box to store protein supplements or powders. It is also delightful because of its convenient handle that can be collapsed anytime. The first thing you have to prioritize is the container’s material. Plastic is the most common in stores, but you really have to make sure that it is BPA-free. Meanwhile, the safest and most durable material for protein shaker bottles is stainless steel. However, it is more expensive as well. This solely depends on your preferences or needs. Do not hesitate to buy the largest sizes if you are an avid protein shake drinker. Just a heads-up though, do not base the capacity on how big the product looks. Some shakers look tall and huge because they have a secret storage for protein powder. 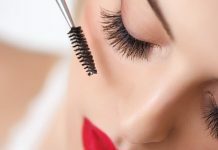 Check the volume of the product from the label or description, not the appearance. Aside from protein powder, you can also make various types of protein shakes coming from fresh sources. However, you need to use a more advanced shaker bottle or an actual blender. The main purpose of protein shaker bottles is portability. After all, if you have a home gym, you can use a blender anytime. A common problem for shaker bottle users is leakage. To avoid this, consider the cap before purchase. Do you need a flip lock or a screw-on lid? Flip locks are easier to open since you can just use your thumb. On the other hand, with screw-on lids, you still have to turn the cap until it completely opens or closes. But, they are more leak-proof. If you really prefer flip locks, search for brands or products that guarantee the no-spill feature regardless of the type of cap. First, let’s discuss the traditional protein shaker bottles. 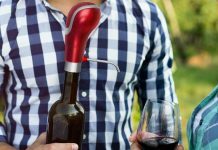 They may not be automatic, but they usually come with a special ball that can effectively whisk the mixture while you are manually shaking the bottle. They are more time-consuming than automatic ones; that’s for sure. They also make a lot of noise during the mixing process. However, they last longer than blender-like shaker bottles. The latter relies so much on the motor that if it gets broken, it cannot make smooth protein shakes anymore. Manual shaker bottles are also way more affordable. Next, automatic shaker bottles can make a smooth protein shake in just 30 seconds. Just push the button – that’s it! Unfortunately, this type of shaker bottle needs constant monitoring on its battery status. If it finally runs out of battery, it cannot function anymore unless you charge it. What if you forget your charger though? That is the main disadvantage of automatic bottles. 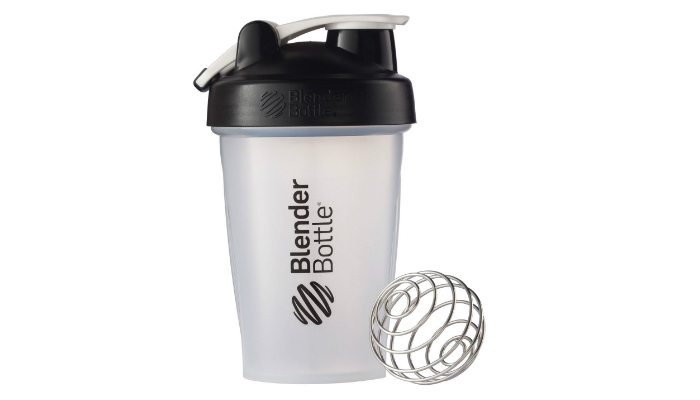 We selected Blender Bottle Classic Loop Top Shaker Bottle as the best protein shaker bottle. Why? It is a manual type, but it stays as the all-time favorite of most fitness enthusiasts. That speaks a lot, considering that the modern generation relies so much on automatic stuff. Meanwhile, in choosing the best protein shaker bottle, consider the material and capacity. Also, decide if you want a screw-on lid or a flip lock. Another thing you have to think about carefully is whether you want a manual or automatic shaker bottle. For another portable source of protein, check out our take on the best protein bars.